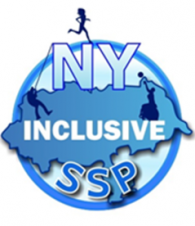 The North Yorkshire Inclusive School Sport Partnership is based at Mowbray School in Bedale. 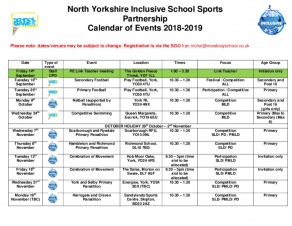 The School Games Organiser (Fran Nichol) works with the North Yorkshire and York Special schools to enhance the quality and range of inclusive sporting opportunities for children with Special Educational Needs and / or Disabilities (SEND). North Yorkshire Sport will work alongside Fran to increase participation in Sport and Physical Activity across North Yorkshire getting more pupils, more active, more often. 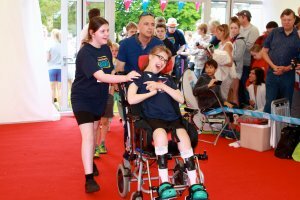 We strive to ensure all young people no matter of their ability have the opportunity to take part in high-quality physical education and have wider opportunities to participate within the community. We seek to build confidence and knowledge in our teachers, coaches and facilitators and to improve resources to make PE inclusive for ALL pupils. If you have any questions on inclusion in your school, Fran is able to provide advice, guidance and assistance on how to be more inclusive and in increasing the meaningful competitions on offer for SEND pupils. We encourage schools with SEND pupils to attend our comprehensive competition calendar which is available below.